First the euro area, then the remaining ten - with this message European Council President Herman Van Rompuy made it clear that the priority currently was first to address the urgent problems of the euro area. "After all, it is perfectly natural that those who share a common currency take some decisions together. Indeed, the existing treaty already provides for that, with a special chapter containing ‘provisions specific to Member States whose currency is the euro’ and other provisions where only members of the Council from euro Member States can vote." However, Van Rompuy added, it was about "strengthening of cooperation among 17 - I repeat: among 17, no more no fewer." But is this increased cooperation going to create a two-speed Europe? "There has been much exaggerated talk about this. 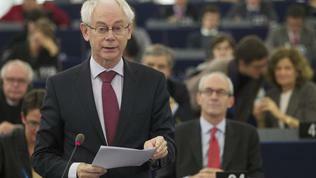 It is time to de-dramatise this debate," Van Rompuy urged. He is right, from a point of view that this debate seems belated in terms of reality, and Van Rompuy himself is the embodiment of this - aside from being a European Council president, he is also an informal president of the euro area, according to the decisions of the euro leaders from 27 October. And now we also have the precedent of euro area summits taking place separately from the European Council meetings of all the 27 EU leaders. However, it is being actively discussed how the eurozone to be governed in a more centralised and more efficient manner. This future governance has to be debated in the European Parliament, with the participation of President Van Rompuy, European Commission President Jose Manuel Barroso and Eurogroup President Jean-Claude Juncker. 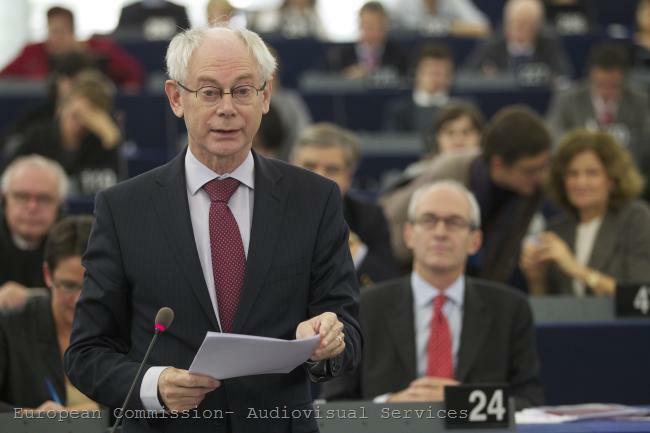 In his statement to the lawmakers Van Rompuy gave grounds for a very interesting debate, raising some very controversial issues. 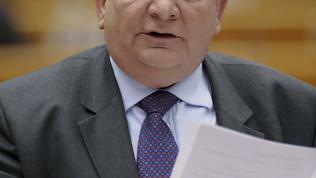 The strengthening of the economic convergence involves further building of macroeconomic surveillance; strengthening of the Euro Plus Pact, because now the commitments are too vague and there are no control mechanisms; enhanced cooperation in certain areas that are essential for competitiveness - we can imagine what these could be from the Pact for the Euro. Improving fiscal discipline is related to the question (if this is still in question) about whether we should go further with the automaticity of the sanctions under the Excessive Deficit Procedure. Here we also see familiar ideas: political sanctions, such as suspension of voting rights, suspension of structural funds or other payments and powers for a central authority to intervene in national budgetary procedures. The latter will be proposed by the European Commission by the end of the month. Deepening the economic union does raise the painful issues of harmonisation in areas like taxation and even in the social sphere, the contested idea of ‘debt mutualisation’ - namely, the Eurobonds - and new regulations for the financial sector. "When the house is burning, the firemen get to work. And we never criticise the firemen! As a former volunteer fireman myself, I would never do so." However, he underlined that dealing with the crisis should not create new divisions in Europe and all participants in the Euro Plus Pact should be included in the decisions for the eurozone governance. 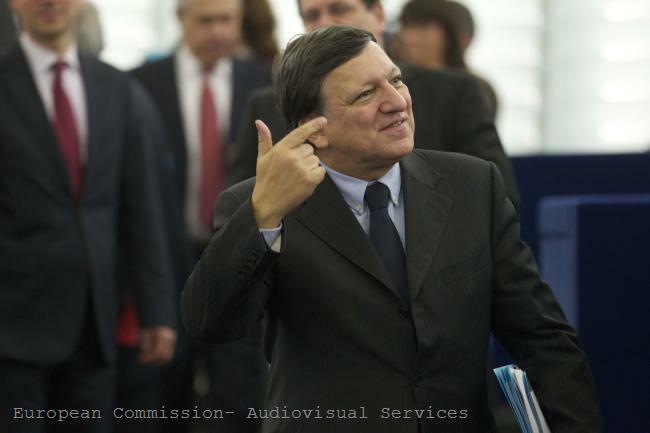 "Do not create different players in the Euro+ zone, do not exclude the countries who are warming up to come on to the field. Do not exclude them from the strategic decisions taken in the locker room!" The possibility the countries involved in the Euro Plus Pact to participate in the process of decision-making would be a good compromise for countries like Poland, who have been actively working to have a say when the decisions of the eurozone affect them. However, this does not apply to the UK, who is not a member of the Pact but has also been actively lobbying among the non-euro countries to reduce the negative effects of a future institutionalisation of the eurozone. The Bulgarian MEP from the EPP group, Iliana Ivanova, also commented that "those who are not part of the euro area should participate equally with the other countries in deciding the future of the Union and should not be isolated from the process." She said that "this is the path Europe should follow to avoid the two speeds." 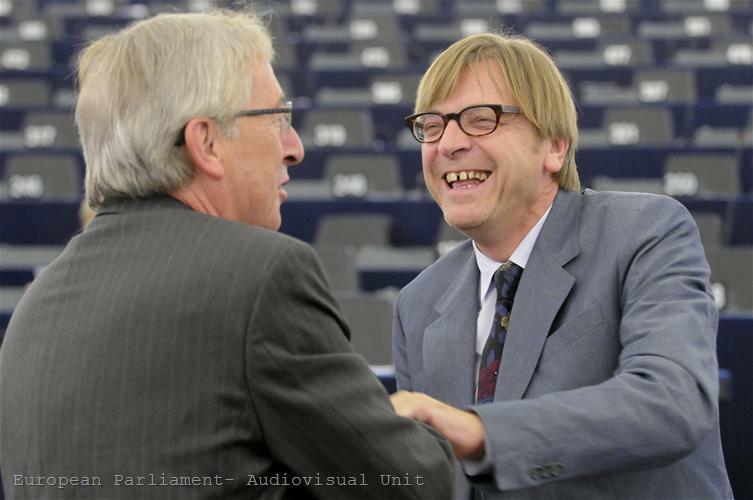 Liberal leader Guy Verhofstadt said that "a real economic and fiscal Union" was needed and made very specific proposals, some of which were in line with the ideas presented by Herman Van Rompuy. For example, “a convergence code for Member States with minimum and maximum standards to be applied to the main pillars of their economies” and strengthening the sanctions under the Stability and Growth Pact, which should be decided by the Commission rather than the member states. More automaticity in terms of sanctions both President Van Rompuy and German Chancellor Angela Merkel have talked about. 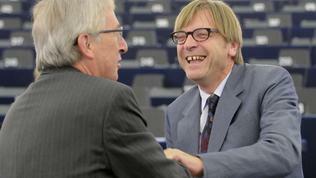 As usual, Guy Verhofstadt said that the only solution to the crisis was the Eurobonds, and drew attention to the proposal of the German Council of Economic Experts for a common European Debt Redemption Fund, which would “mutualise the debt in the eurozone above 60%, combined with a bold debt reduction scheme for those countries, who are not on life support from the EFSF”. 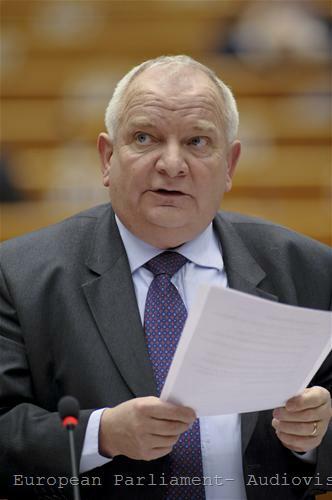 EU Economic Affairs Commissioner Olli Rehn also commented that the proposal was worth paying attention to. euinside will present it soon. 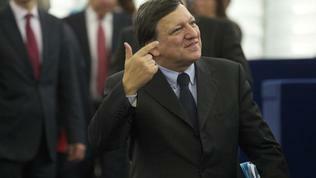 The Socialists and the Greens came out with their usual position that what Europe needed now were investment and growth. Greece and Italy need investment to recover, that is what we should discuss today, not the Treaty changes wanted by Angela Merkel, Socialist leader Martin Schulz said. "We need 'Keynes' in Brussels’", Greens/EFA Co-chair Daniel Cohn-Bendit added. 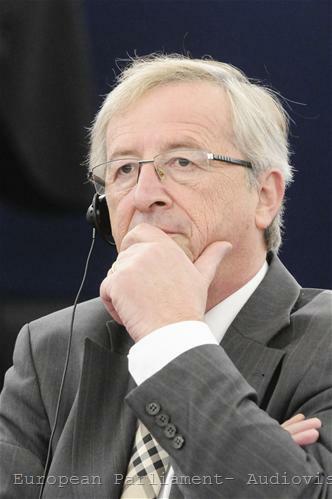 Eurogroup President Jean-Claude Juncker raised another very important issue which the lawmakers showed no interest in – the work on the new functionalities of the rescue fund EFSF and especially the discussions about changing the unanimity rule. 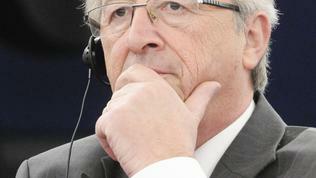 Until we have unanimity we are not flexible and we cannot respond quickly, Mr Juncker explained. These discussions, however, go among the finance ministers of the eurozone and the EFSF, so that there is little information publicly. It is expected by the end of November the new features of the fund to be clarified and approved by the Eurogroup, so that they can be implemented in early December. 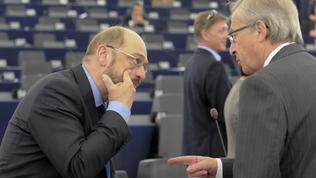 Mr Juncker himself expressed disappointment that the debate did not touch upon the essence. 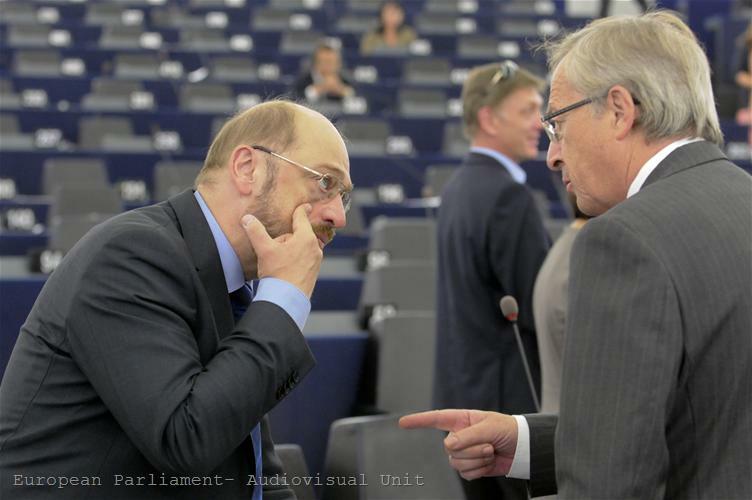 You blame the leaders in pursuing their national points of view, but we see the same in this house - is this the European Parliament or a continuation of the national political debates, Jean-Claude Juncker asked bluntly.